Have No Fear! 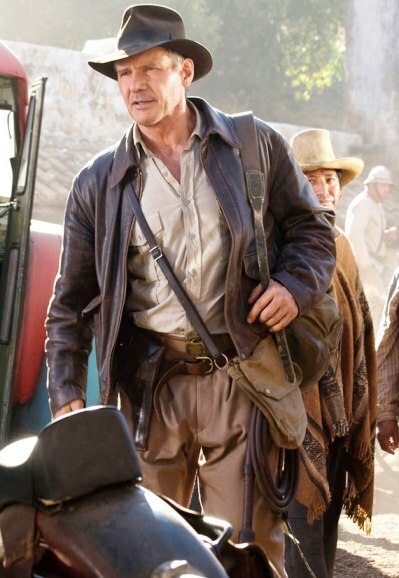 Indiana Jones Is Here! 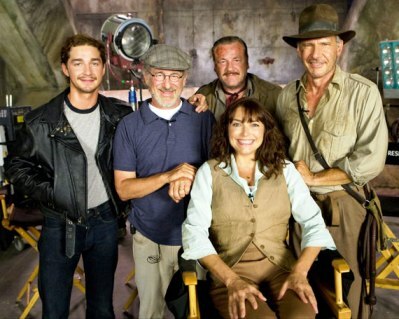 I’m so excited about the impending fourth installment of the Indiana Jones movies. 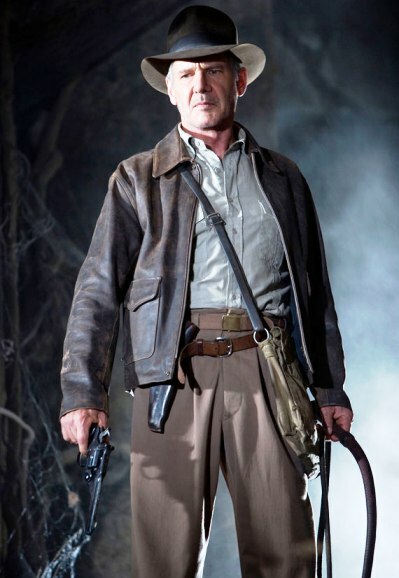 And I’m thrilled that Harrison Ford will be playing Indie – as he should! I hate it when new actors are brought in as the title role in a sequel (can we say “Batman”). Except for the James Bond movies – those can totally stand alone – although Sean Connery was by far the best Bond. 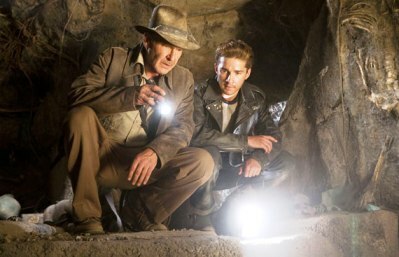 Anyway, here are the publicity shots for Indiana Jones 4: The Kingdom of the Crystal Skull. Oh yeah, Shia LaBeouf is in it too. 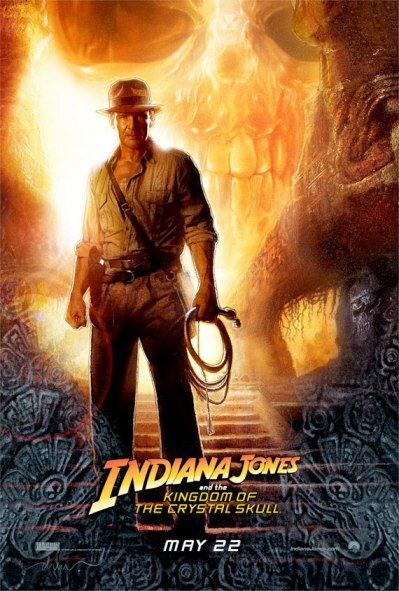 Raiders of the Lost Ark: the flight to Nepal scene, just as Indy is leaving, the plane flies over the Golden Gate Bridge, but the bridge was not finished in 1936 (the year the film is set) since it took four years to complete (1933-1937). Temple of Doom: After Indy takes Willie out of the cage in the temple, Willie slaps him, but Indy’s head turns the wrong way. 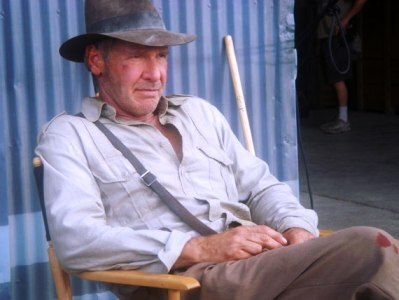 Last Crusade: When Indy brings the Grail to Henry, he pours all of the water out of the cup onto Henry to heal his gunshot wound. But in the next few scenes, you can see that the Grail is about half full. Facts found at The Indy Experience. previous post: The Grammy Nominations Are In!